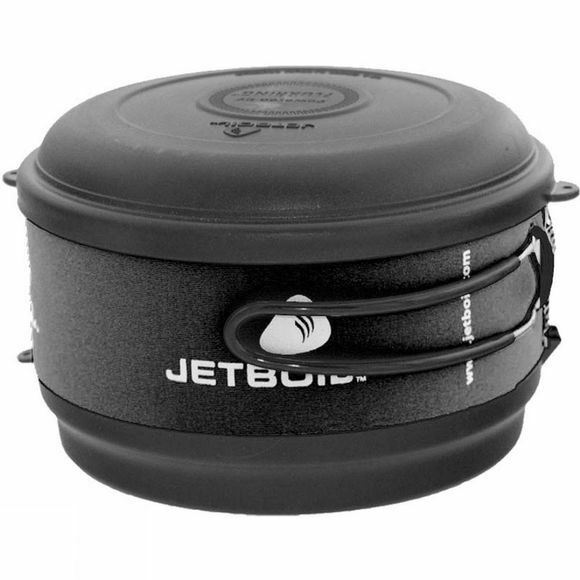 This Jetboil Cooking Pot offers cooking versatility with a wide-open form factor that makes it easy to simmer and cook for small groups. Folding wire handles and an insulating cozy make for safe and easy handling while the plastic base cover works as a serving plate or bowl. Requires pot support kit for use with all burners. 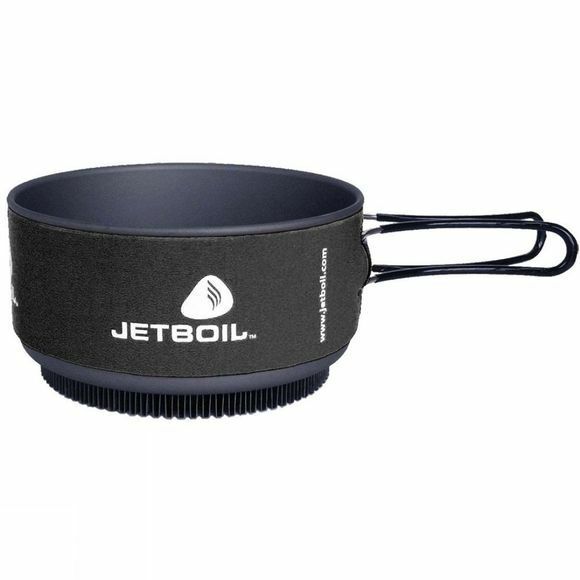 This pot is not compatible with the Jetboil Helios System.